Will this be the patch to end all patches? Probably not! Like the mysterious, twisting forces of the world around us, or like a man walking a tightrope over a vat of expired Spaghetti-O's, Diablo 3 strives for perfect balance. As such, Blizzard has released patch 2.2 to ensure that their game is not only balanced, but also filled with brand new item sets for their players to pilfer from the the remains of formerly living monsters. A new class set has been added for the Barbarian, Demon Hunter, and Wizard. In addition, all classes have received updates to at least one of their existing sets. New Seasonal rewards have been added to the game, including two new transmogrification appearances, a new pennant, and a new portrait frame. This patch brings the introduction of many new Legendary rings. We hope that these rings lead to new and exciting build opportunities for players to explore. When crafting gems and items the entire quantity will now be crafted at once. 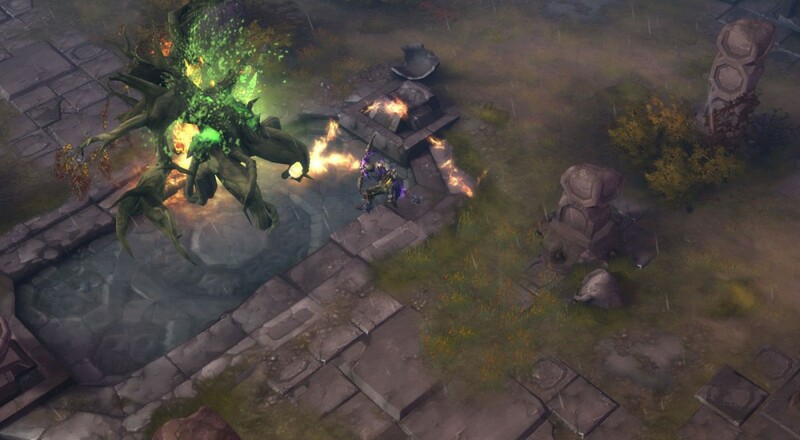 Diablo 3, which is coming up on its third birthday, was rumored to gain a microtransaction economy from this patch. However, Blizzard was quick to discredit these rumors, stating that they won't be affecting North American markets, at least for the time being.